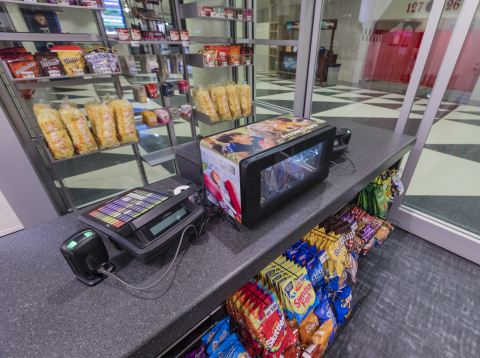 Phononic, a global leader in solid-state cooling and heating that is breaking the boundaries of semiconductor innovation, has announced the deployment of the first-of-their kind Phononic F200 Merchandising Freezers in PNC Arena’s new grab-and-go eatery. As a top sports and entertainment venue ahead of the curve in meeting the demands of today’s consumer, PNC Arena’s placement is consistent with new survey findings, commissioned by Phononic, that detail consumer preferences for food offerings and placement in arena environments. “Rethinking the Store of the Future: Arena Edition” is part of Phononic’s second annual “Store of the Future Report for 2019,” which surveyed more than 1,100 U.S. consumers to uncover preferences relating to the food shopping experience. Consumers were asked several questions relating to their general satisfaction with food offerings at locations including sporting arenas and entertainment venues.